There are certain situations that might merit root canals, and we have many advanced treatments that can be used to make this an easy and comfortable experience. If you are suffering from a tooth that is severely infected, then you might need to have a root canal treatment. Many people are fearful of the idea of a root canal because they have heard horror stories from friends and family members who went through the same experience. But, there is nothing to be fearful about because we have many modern tools that can save the functionality of your tooth. A root canal treatment is a process that involves cleaning out the interior of your tooth, and then sealing the inner core of that tooth. If an infection is present and it is left in the tooth, then it is possible that it might lead to bigger dental problems later on… possibly even resulting in the loss of that tooth. Luckily, root canals can be used to save the tooth and restore it to better health. The technology that we use at Sky Dental is very advanced, making a root canal treatment seem as simple as a basic filling. 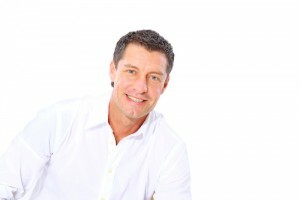 There are many benefits to working with an experienced dentist if you need a root canal. At Sky Dental, our staff is highly qualified and available to help with any type of dental service that you need. We have the skills required to treat any type of root canal situation, including root canals on any tooth in your mouth. You will be comfortable knowing that you are in good hands, especially when you learn more about the qualifications and experience of our staff members. Many people avoid root canal treatment because they are scared of the potential pain. But, you can rest assured that root canals don’t have to be scary. If you are too nervous to have the treatment done, then you might consider sedation techniques to help you relax and make it a fast and easy process. If you have a tooth that needs a root canal, then we encourage you to contact our office to schedule an appointment right away. Don’t delay the appointment, because it might cause more pain and other problems later on. We are available to answer your questions, and we can help you find a convenient appointment that fits without your schedule. Call us today!